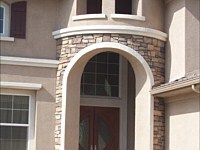 We are a licensed and certified concrete and masonry contractor serving Santa Clarita, Thousand Oaks, and Los Angeles. We are experts in our craft, having worked on countless residential, commercial, industrial and government projects since 1994. We have served most of California and we continue to build a reputation based on excellent client service, positive results, and adherence to quality standards. 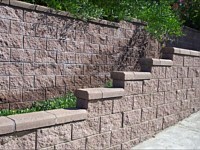 We urge you to get our concrete and masonry services no matter how simple or challenging your project is. We guarantee to give you the results that you desire and complete the project ahead of deadline. Call us now at (818) 833-1231 or (818) 419-8306. Our crews are comfortable working on various types of masonry materials. With decades of combined experience, our masons can work on concrete pavers, bricks, concrete blocks, natural stones, veneers, artificial stones, and other concrete and masonry materials. 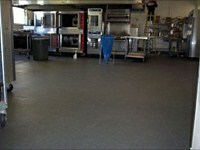 Our past clients in Santa Clarita and nearby CA cities had an easy time choosing the right materials with our guidance. We have partnerships with the most trusted manufacturers and suppliers, so getting the materials that our clients need is always just one phone call away. 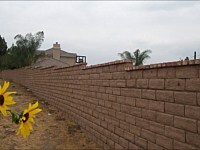 At California Creations, we have mastered and perfected various concrete and masonry techniques that have helped us satisfy the demands of discriminating clients. We use stamping, staining, and other decorative methods that will help enhance the beauty of your outdoors. Our crews generally choose which method to use based on your desired look and the existing architecture of your property. We can have you pick your preferred technique or we can just recommend the right one. But whichever your choice may be, we can definitely offer you the exact appeal that you want for your landscape. We are fortunate to have in-house masons and builders who are all professionally trained, certified, experienced, and creative. Our personnel are the best in their field, and they possess a level of skills and knowledge that only those with lengthy experience have. No matter how technically challenging or simple your concrete and masonry ideas are, we promise to use our expertise to realize them. Why pay more by hiring others when you can just call us and enjoy our low service rates? We are among the few companies in the state offering truly budget-friendly services with no hidden charges. We have served countless property owners in Santa Clarita, CA and surrounding locations without them going over their budget limits. So please call California Creations right now, and let us create the kind of outdoor amenities you’ve always wanted.